For more than 35 years, students and audiologists have turned to the acclaimed Handbook of Clinical Audiology to master the principles and methods of the field. This text and reference offers scientific, clinical and philosophical insights regarding current issues and procedures in audiology. This new edition incorporates the most recent material in the physiology, assessment, diagnosis and management of hearing disorders. 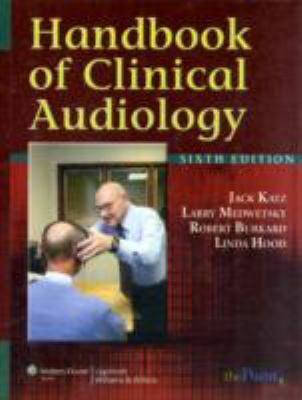 It is a readable, thorough compendium of hearing procedures and information, interpreted by highly respected individuals in the field.Katz, Jack is the author of 'Handbook of Clinical Audiology', published 2009 under ISBN 9780781781060 and ISBN 078178106X. Loading marketplace prices 12 copies from $6.92 How does the rental process work?